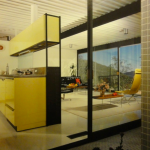 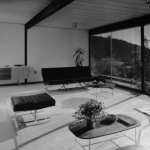 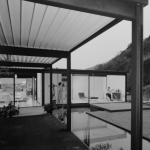 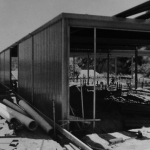 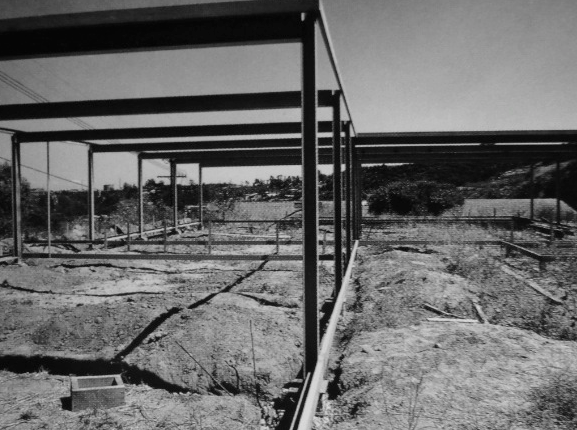 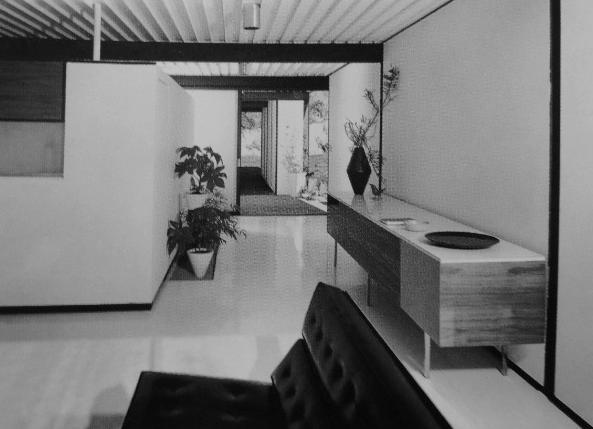 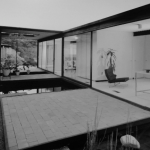 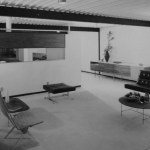 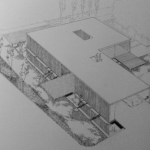 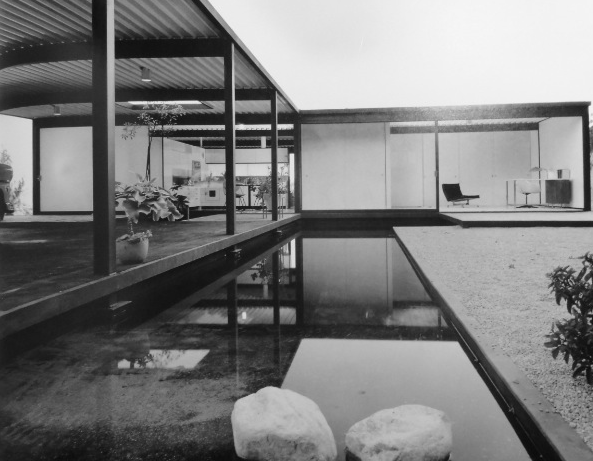 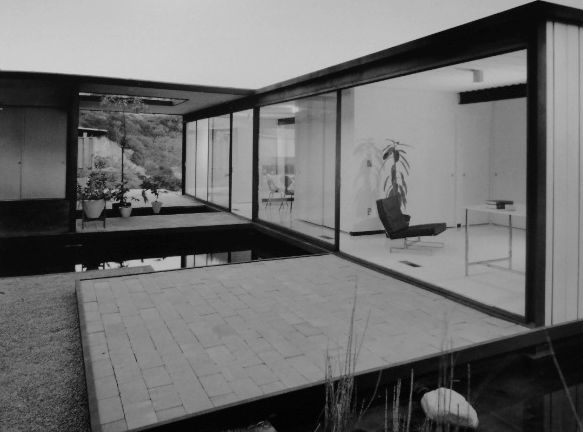 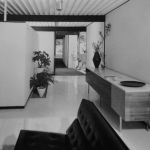 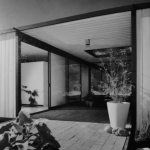 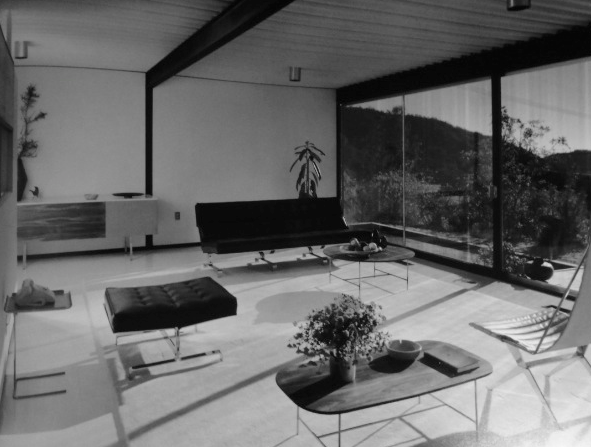 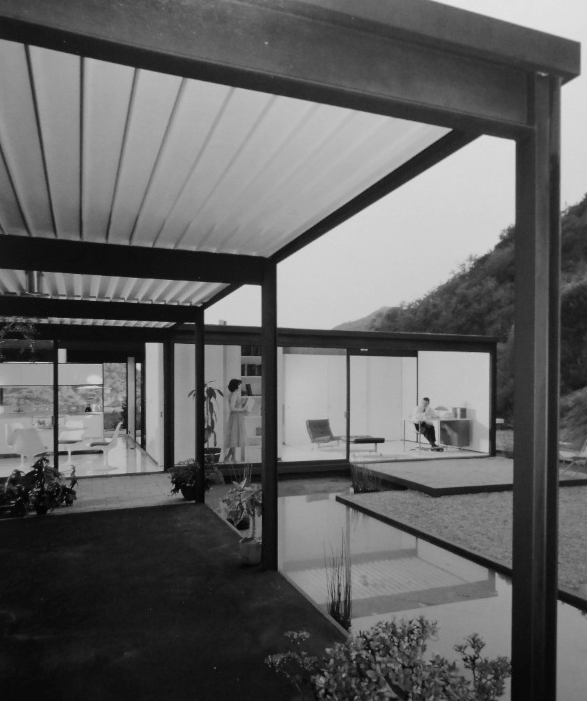 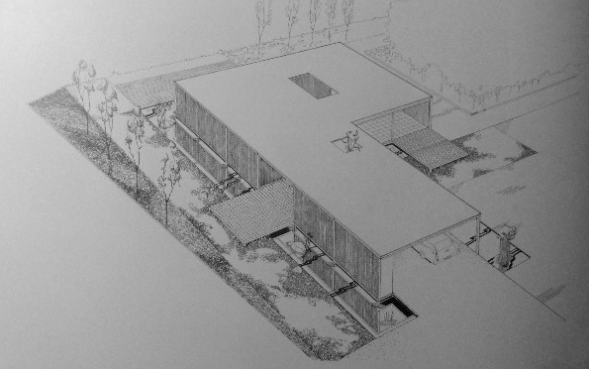 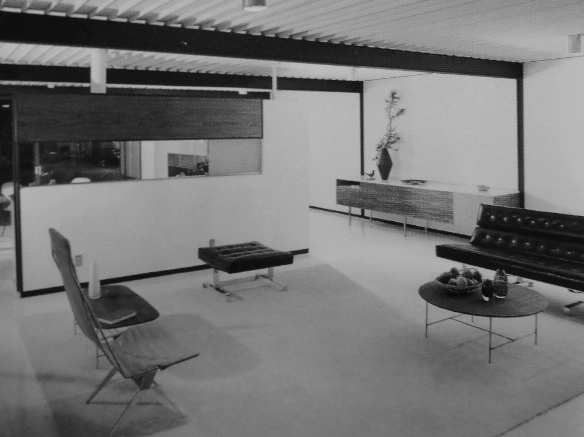 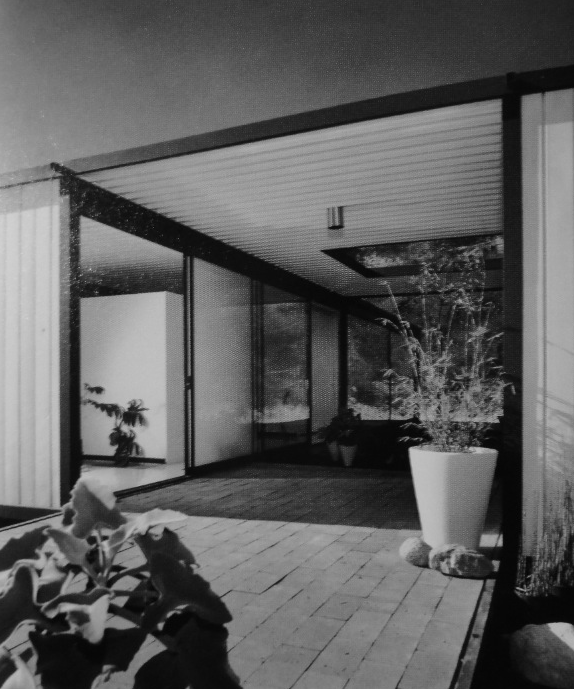 Pierre Koenig’s 1958 Case Study House No. 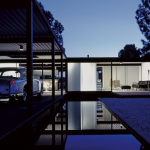 21 (CSH #21) & CSH # 22 were part of under the Case Study Project, a program initiated by John Entenza, editor and publisher of the Arts and Architecture Magazine, who invited architects and their clients to design and help popularize modern home design. 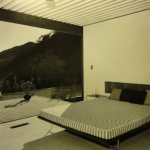 J. Walter Bailey and his wife Maria, a psychologist and social worker, hired Koenig to create a two-bedroom, two-bathroom house for them with one-bedroom to serve as a convertible study and guest room. 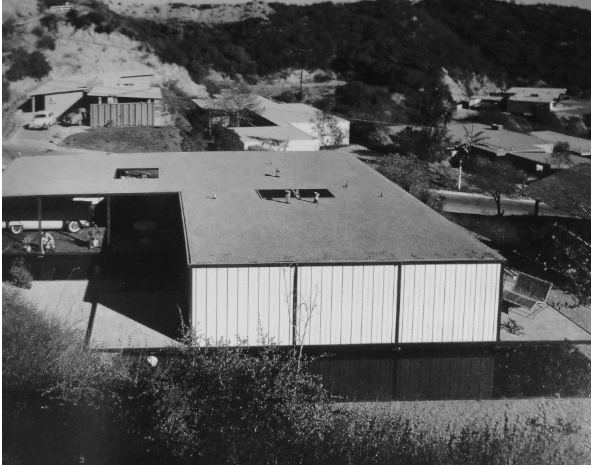 The “Bailey House,” is an early attempt at prefabrication with an open floor plan of public and private rooms all with access to the outdoors. 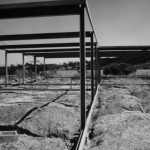 Koenig achieved the open floor plan by using cost effective materials such as steel arc welding for the skeleton of the house. 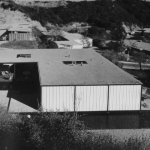 The house utilizes an L-shape floor plan to create privacy from the street and placing a carport in front of the house. 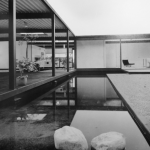 Koenig placed five reflecting pools with scuppers to send water from the roof back to the pools to provide a cooling and soothing effect. 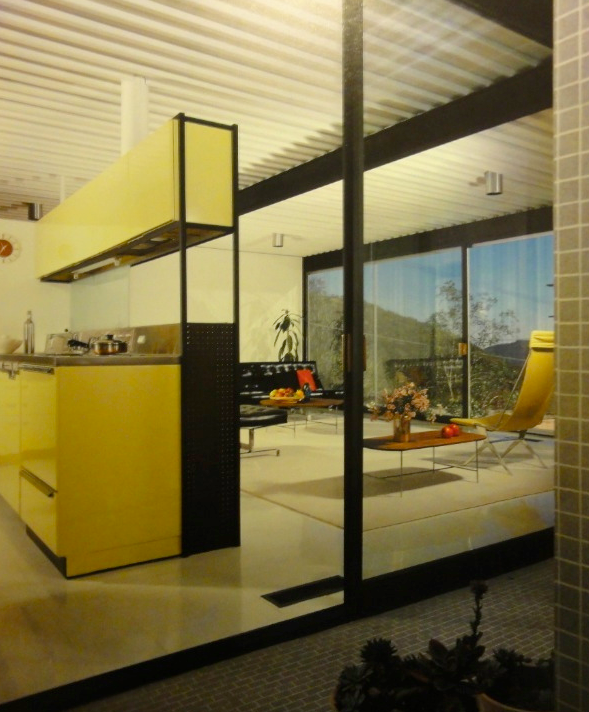 Kool Shades were also added to the sliding walls of glass to help keep the house naturally cool. 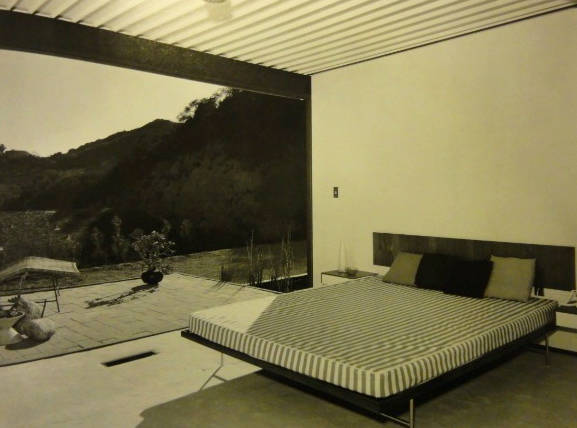 Case Study No. 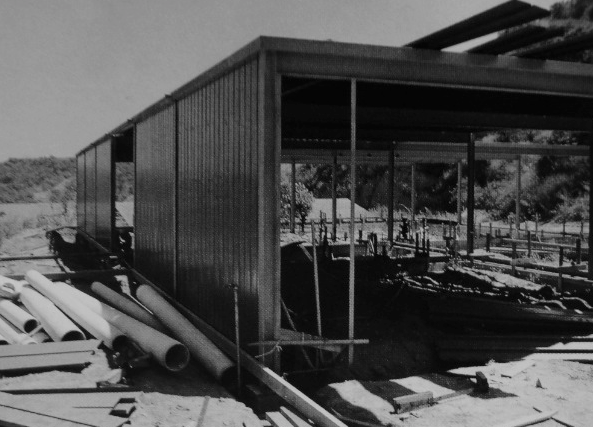 21 was Michael’s first project. 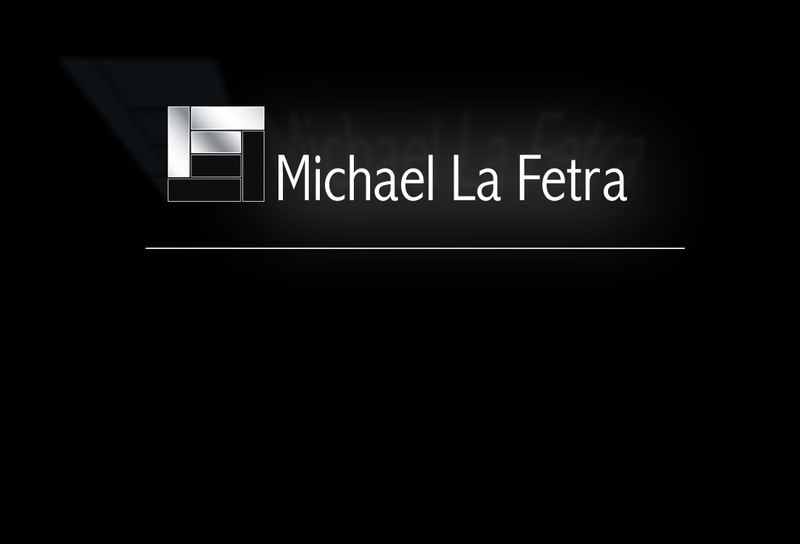 The prior owner, Dan Cracchiolo, had already done the lions-share of restoration work but Michael worked hand-in-hand with Pierre to finish the job. 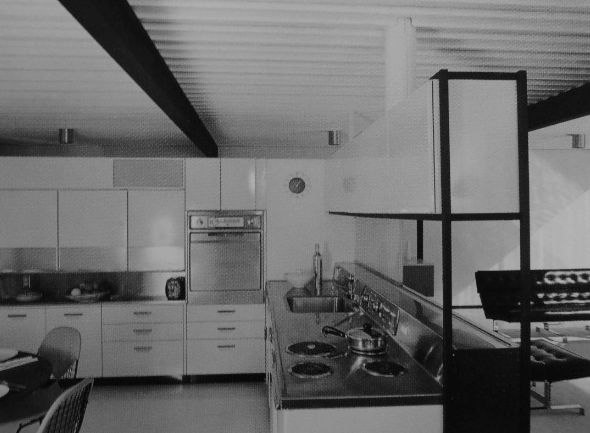 With Koenig’s help and the original blueprints, Michael’s work on CSH #21 entailed retrofitting the house to twenty-first century standards by recreating the original Kool Shade screen doors/track systems that had previously deteriorated, adding an interior courtyard fountain, installing new heat and AC, replacing the pool and scupper systems and re-asphalting the driveway. 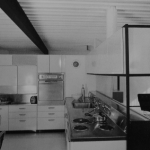 In addition, Michael registered the house under the Mills Act as a Historic-Cultural Monument to ensure that future owners would keep the architectural integrity of the house. 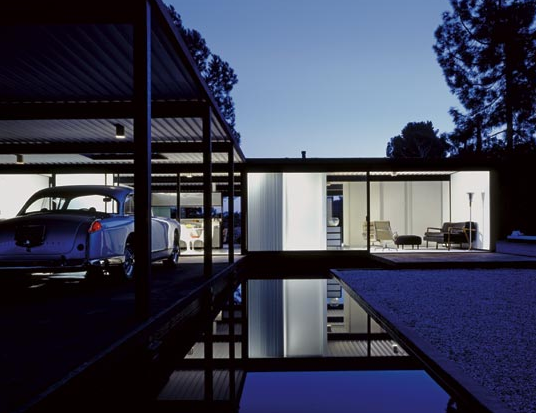 Pierre Koenig received the F.A.I.A Award on June 2001 for the Case Study House.